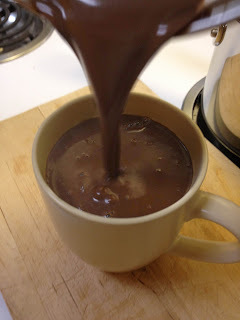 I'm not only going to post recipes and experiments, I'm also going to review hot chocolate mixes that I find. Anything different or gourmet, or just anything I've not seen or tried before. I'll always give my honest opinion, of course, but as a disclaimer, I should mention that most reviews are probably going to be relatively positive. I just love this stuff so much, even the bad ones aren't really that bad! The first one I want to review is one of the first really high quality hot chocolates I tasted, MarieBelle Aztec Hot Chocolate. Drinking this was when I realized that by drinking packet mix for all those years, I was doing it all wrong. I got this when my girlfriend and I visited the Winchester Mystery House in December. (She is also responsible for all the great photos on this blog.) There was a huge MarieBelle display in their gift shop, and I’d never heard of them before. It looked very fancy and Parisian, so I took a chance and bought the big 20oz tin of hot chocolate. It turns out that MarieBelle is a chocolate shop in New York (and Kyoto, Japan) founded by chocolate maker Maribel Lieberman. They make delicate little chocolates and confections, and the store in New York has a Cacao Bar and Tea Salon. 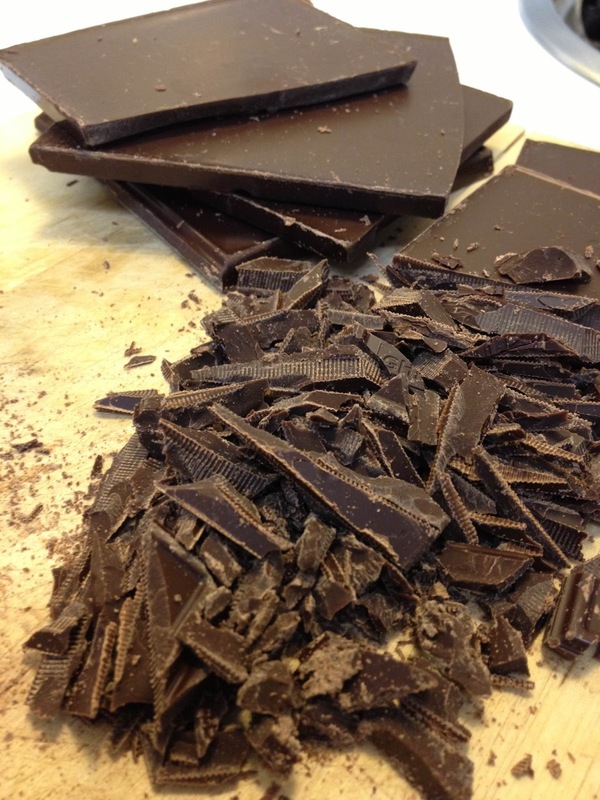 That Cacao Bar sounds amazing, and you can bet I'll be there when I next visit New York! 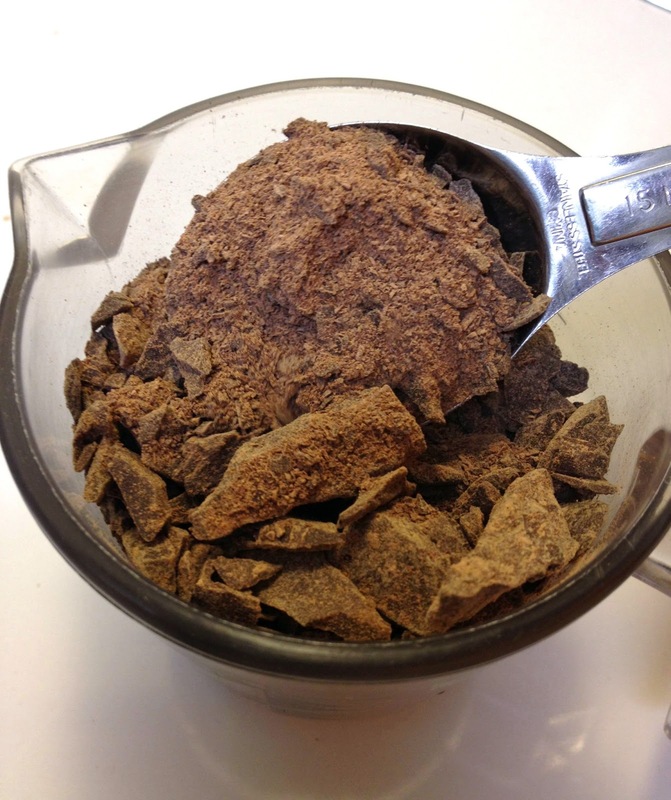 You can see the mix isn't really a powder mix at all, but chopped chocolate. It's single origin 60% Colombian chocolate. Single origin means that the cacao beans that made this chocolate all come from the same region, or in some cases, the same farm. I'm guessing the "Aztec" in the name pertains to the fact that Colombia was maybe once a home of the Aztec people? I thought Aztecs were mainly in Mexico, in which case, I have no idea why this is called "Aztec". The other ingredients are what you'd expect - sugar, cocoa butter, vanilla, etc... However, it also has potato starch listed. Perhaps to reduce binding, or for a smooth texture? If you know why potato starch would be used, please let me know. On the side of the tin are instructions for making the drink in a European style and an American style. Comparing them, the only difference is that the American version uses about 50% less of the chocolate. Naturally, I went for the European. I'm all for as much chocolate as possible! 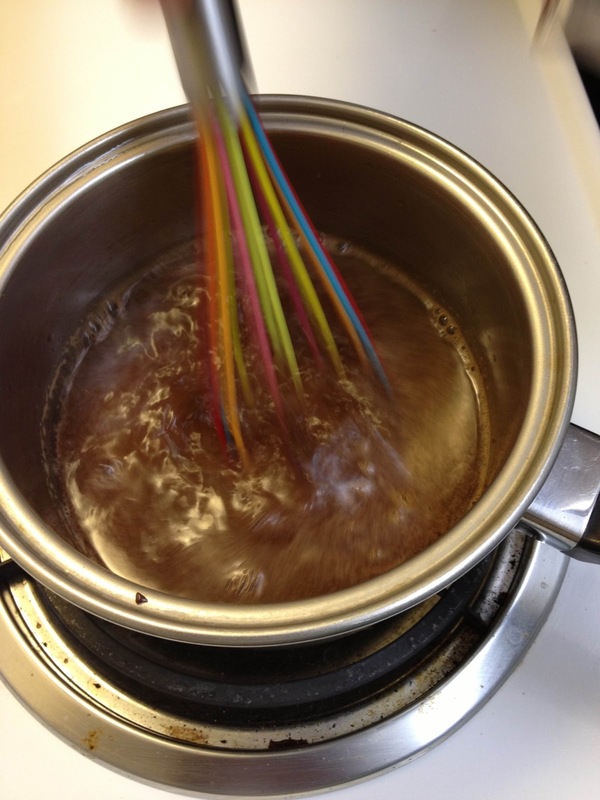 It uses water, like the last recipe I posted, which allows the full strength of the chocolate flavor to come through. This hot chocolate is just amazing! So rich, so delicious, and it's thick, like cream soup, so bring a spoon. It's really smooth, even though I could see it didn't melt completely. Tiny particles of soft chocolate clung to the sides of the mug as I drank it. Maybe I should have whisked it a bit more. It certainly wasn't unpleasant, though. Just the opposite! It's amazing and rich, just a very concentrated, perfect flavor. 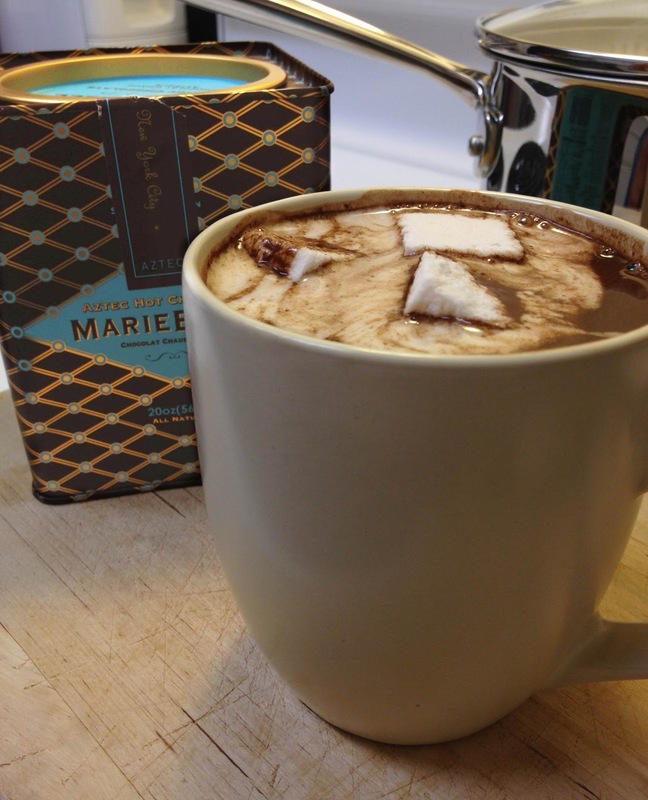 If hot chocolate this strong isn't your thing, make the MarieBelle Aztec using the American instructions. I've had a lot of hot chocolates before deciding to start this blog, and this is an exceptional one and a definite favorite. When I have a tin of it in my pantry, I treasure it and save it for the most relaxing of weekend evenings. You can order it from their website or sometimes at Amazon. And you should do that. Right now. Also, the Winchester Mystery House is bizarre and amazing, go check it out if you're in the San Jose area. 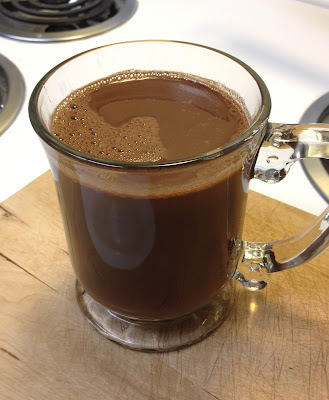 This first recipe is just going to be the basics, so you can experience a true hot chocolate and really taste the difference between this and a packet cocoa. 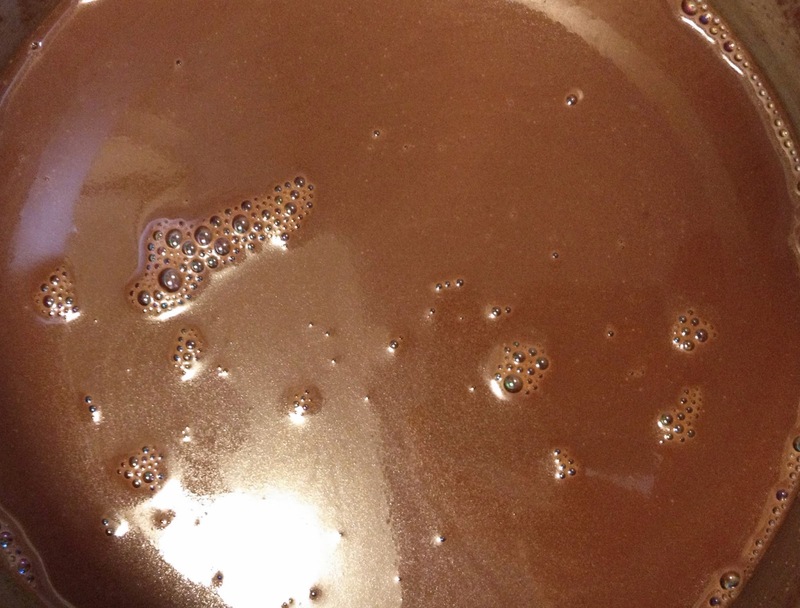 This is an easy, delicious, real hot chocolate. 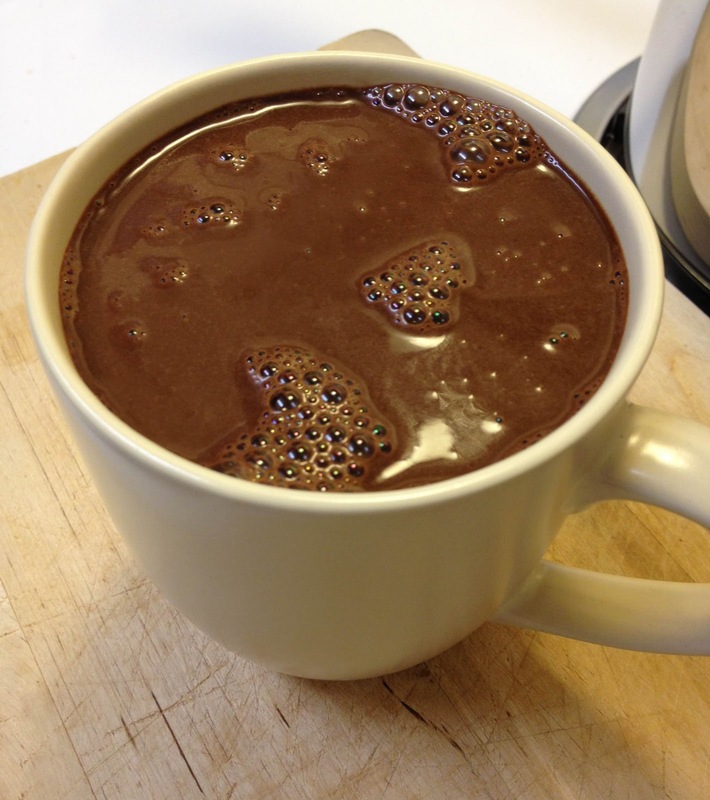 When making a basic hot chocolate, there are only a couple of things to consider: water or milk, and what kind of chocolate? A lot of hot chocolates are made with water, not milk. This allows for a very strong chocolate flavor to come through. Milk, while adding creaminess, dilutes the flavor a bit. Both are awesome! We’re going to go with water for this first one. As for chocolate, there are tons of options. 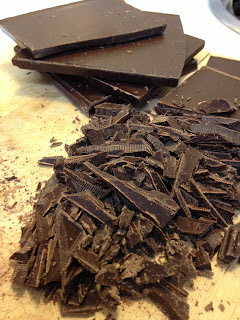 I like to use a semisweet or bittersweet chocolate with around 60%-70% chocolate liquor content. Most good chocolates you see in the grocery store, especially in the baking section, now have a percentage on the label. If you use a chocolate over 70%, you may want to add in some sugar. For this one, I’m using Ghirardelli 60% bittersweet baking chocolate. Use whatever you can find, but for this first one, try to stay away from milk chocolate. In future recipes, I’ll use many different chocolate brands, and most times, you’ll be able to substitute your favorite brand, or whatever you have on hand. Chopping chocolate is easy. Get a big knife, a cutting board, and have at it. Start from a corner, and keep rotating the chocolate so you can work your way in from the corners. It chops easy this way, and you’ll see what I mean once you get started. The more finely chopped it is, the faster it will melt and incorporate into the water. Watch your fingers, though, especially your thumb! I cut mine. Learn from my fail. Bring the water to just about a boil, turn the heat off, and pour the chocolate right in. A whisk tends to work a little better than a wooden spoon for mixing it, so whisk it around a bit. While you whisk, you may want to move the pot off the warm burner. Chocolate burns very easily, and while the chances of that here are slim, it could still happen. Burnt chocolate is bad. Oh man, so good! And so easy! It’s SUPER rich and strong, and at first it may surprise you. But if you love chocolate like I do, it’s like a magical world just opened up to you. So much better than a packet mix! What do you think? Too strong or bitter for you? Try adding a teaspoon (or more) of sugar, or next time, try lowering the amount of chocolate. Variations on this recipe are endless. What kind of chocolate can you find? Whatever it is, you can melt it in water! Hello, and welcome to my blog all about hot chocolate! Why did I want to make a blog about hot chocolate? I love chocolate in general, but I especially love to drink it! I’ve learned so much about hot chocolate recently, and I want to share what I’ve been learning. I also want to also be able to connect with other hot chocolate lovers and hear about your ideas and recipes. I’ve always loved hot chocolate. Actually, I should say hot cocoa - there’s a difference. My entire life, I’d only ever had the packet mixes of hot cocoa. Swiss Miss, Nestle, the kinds found in every grocery store. Sometimes I would add things to the packet mix. I’d melt some chocolate chips or a candy cane in it. I’d make it with milk instead of water, I’d use two packets instead of one, or I’d add flavored coffee creamers into it. Anything to give those packets some extra kick. And it worked, I made some decent hot cocoas. Then late last year, I learned that what we Americans call hot chocolate is actually hot cocoa, and in Europe and Mexico (and other places), they make REAL hot chocolate, using actual melted chocolate instead of a powder mix. It turns out those grocery store hot cocoas are mostly powdered milk. This probably shouldn’t have been surprising to me, but it was. So I tried some of the real stuff, with the melted chocolate. WOW! What a difference! It instantly changed everything I thought I loved about hot chocolate. Then I learned there were many, many different ways to create these amazing hot chocolates. Different kinds of chocolate, different sweeteners, different spices added in, even eggs! I felt like I had to try all of them! When you try some of these recipes, you’ll see what I mean. I’m still just getting started on the journey. I’ve had interest from friends, and I figure there’s even more interest out there in the world, so I’m starting this blog. If you like hot chocolate, or have only ever had hot cocoa packet mixes, you’ve come to the right place! I’m going to be posting recipes and the results as I work my way through a few hot chocolate recipe books. I’ve also come up with quite a few of my own, and have ideas for many more. I’ll also be giving my thoughts on a lot of the better mixes out there, trying recipes from the internet, and who knows, maybe we’ll even visit those packet mixes once in a while and see what we can do with them. Please make the recipes! Once you find what you like and don’t like, experiment, add in more things you like. 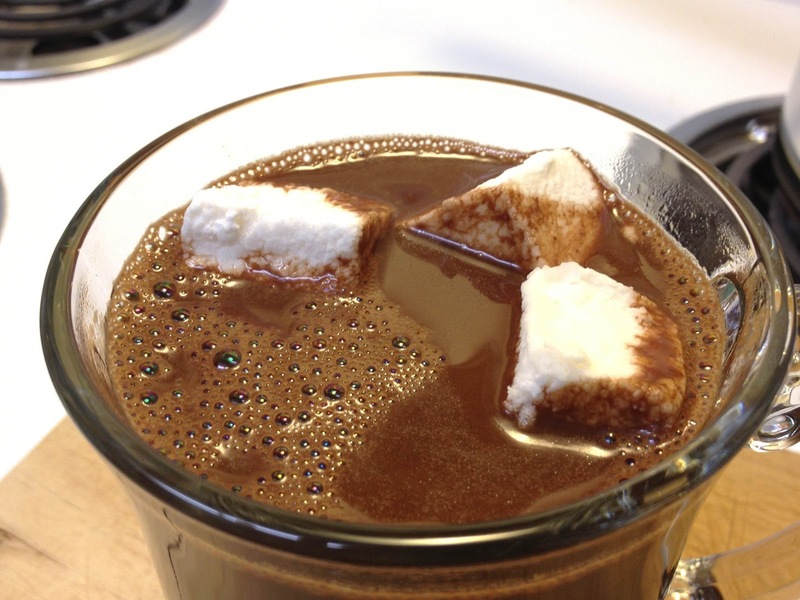 See if you can come up with a flavor of hot chocolate that’s never been created before. Please post in the comments, share everything you try. Maybe together we’ll come up with the next best hot chocolate ever! Do you know of some awesome chocolate company that makes an amazing hot chocolate? Let me know and I’ll track it down. That’s the mission statement. So let’s get on with it already!